Absence makes the heart grow fonder. That’s what they say. But, do you know what I say? Absinthe makes the heart grow fonder. Oh, c'mon; someone at Fluid London had to come out with that at some point. But, wait; it's not all [questionably - Ed] jokes! Absinthe really does make the heart grow fonder; mostly due to its high alcohol content, but also due to its nostalgia-inducing ability. 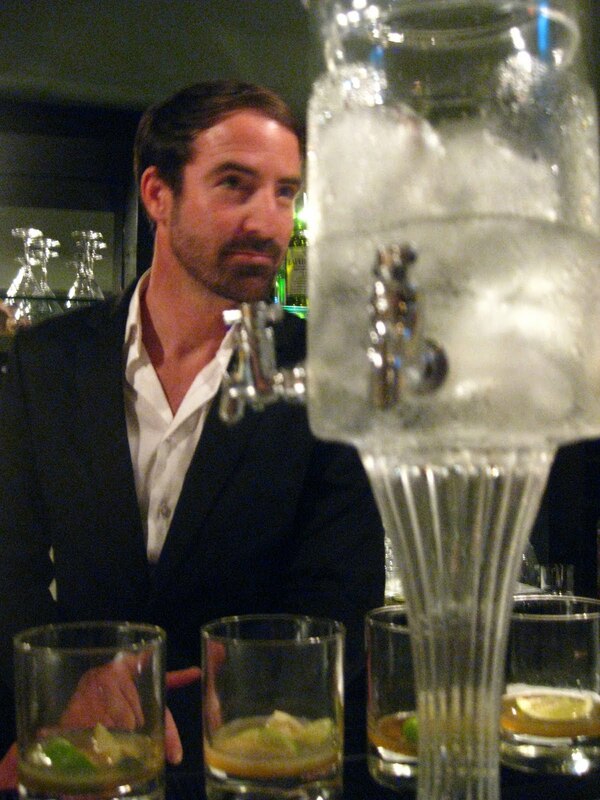 At a recent tasting at the Absinthe Bar under Brompton Bar & Grill in Knightsbridge - billed as London's very first absinthe bar - I experienced first-hand what crazy-painters, homosexual playwrights and aficionado authors have known for more than 100 years: absinthe is delicious! And so is its history. While we tasters tried tipples galore made with the liquorice ingredient, Alan Moss - brand ambassador for La Clandestine Absinthe - told us tales of its underground roots. Absinthe started out in the late 18th century as a medicinal drink made from the herbs found on the hills in Switzerland. There are rumours it was first concocted by a Swiss woman and her two daughters, and the drink simply gained stature from there, including when the French decided it would be a fantastic anecdote to malaria and started dishing it out to troops in the Algerian War (you’ve got to love the French). Absinthe stuck around firmly during the Belle Epoque, becoming the choice of drink for bohemian spirits everywhere. Sadly, there was a backlash against its popularity - one stronger even than that against dear Mr Blair - and it found itself banned to the back shelf almost worldwide. The UK was the only one to allow it; and they say we're prudish! Pastis was made to fill the gap in the French markets, but housewives in Switzerland continued making it illegally for years. And not only was it delicious neat - my preferred way to drink many spirits - but also in cocktails. Turns out the Brits had the upper hand there too; a glorious cocktail book released by the Savoy in the 1930s came up with more than 100 ways to include absinthe in your everyday drinking. All that history - and cocktail tasting - not only made me fond for the drink, it also transported me to what my imagination tells me London must have been like during the 1930s. One could imagine wandering the streets of our fair town, dished out in fabulous flapper designs, after a night dancing and meeting the hot artists and writers of the day. I wasn't even sad to learn I wouldn't see any green fairies (all a myth, unhelpfully propagated by a certain Baz Luhrmann film starring Kylie Minogue). I was just happy for that fond feeling called nostalgia which made me think maybe that is how Woody Allen got the idea for his latest film Midnight in Paris. And so this is why I recommend giving absinthe a go: in a cocktail like Death in the Afternoon (one of Hemingway's creations) or simply neat, drained through an ice-fountain. Absinthe may not be for everyone, but, equally, it may also induce some lovely and warm fond feelings to help keep you cozy this winter. The Absinthe Bar under Brompton Bar & Grill serves up a whole host of absinthe cocktails of its own creation.